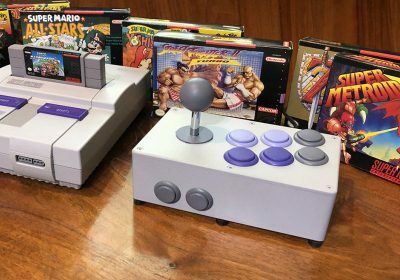 You can’t help but admit you like the benefits of newer consoles: wireless controllers, better video connections, faster load times. 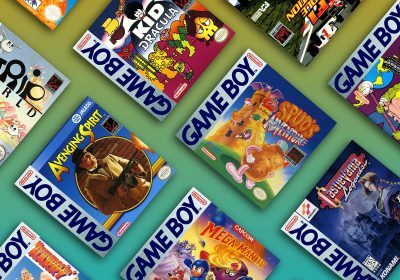 So is it so bad to want to be able to play a bunch of old games on your new hardware? Of course not. If you’ve experienced many of the commercial attempts at emulating Sega Genesis games in the past, you can appreciate some of the high-quality emulation demonstrated in this package, particularly in the sound department. With the emulation spot-on, I’ve been more than pleased with the results. 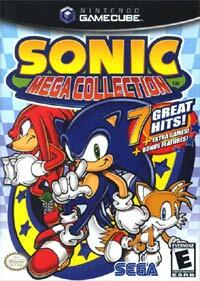 Sonic Gems makes up for most of the deficiencies of the Sonic Mega Collection by adding Sonic CD (the main attraction here) in addition to the Saturn racer, Sonic R, and the arcade rarity, Sonic the Fighters (previously unreleased on a home console). 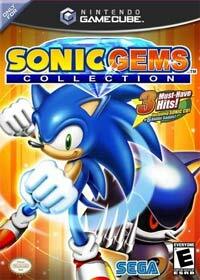 Sonic Gems also gives you access to the Sonic Game Gear collection and a few other enjoyable Genesis unlockables. The main disappointment here is the Knuckles Chaotix from the 32X is not included as it is one of the only Sonic games from the era not re-released and has not been experienced my most gamers due to the obscurity of the 32X. When it comes to the main attractions (Sonic CD, Sonic R, and Sonic The Fighters), you can’t get much better in terms of quality. 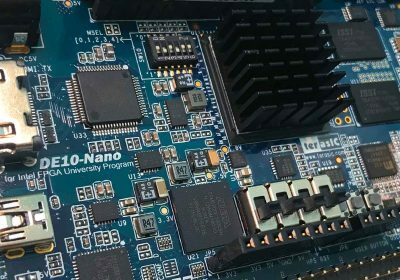 Everything runs and looks great. If you are like me and are used to the Sega CD version of Sonic CD, you may be a bit thrown off by the brief but odd-looking loading screens that pop up on Sonic CD. Apparently, these were a part of the PC version, which the Sonic Gems edition is based off of. The decrease in load times on Sonic CD is incredibly significant (thanks to faster optical drives) and the framerate is always steady. Since the game was CD based to begin with, the audio holds up quite well, though I would have loved to have seen an option for you to listen to the Japanese soundtrack, rather than the one in the domestic release. It’s petty, but it’s better music. The animated intro, which was presented in a small box in the original game, is now presented in full screen glory and is still as impressive today as it was twelve years ago. If you want to spend time with the portable Sonic games, be aware that the Game Gear emulation isn’t the best in the Gems Collection. From what I can tell, all of them are hampered some frustrating frame rate issues. This is a fine example of how to put together a game compilation. Mega Man Anniversary Collection includes all the games from the original series on the NES and SNES plus a couple of games previously unreleased on a US console. 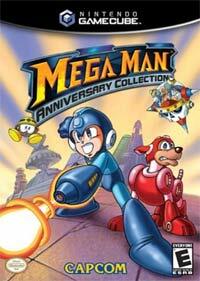 Mega Man Anniversary Collection is simply one of the richest, most well-put-together classic compilations ever made, and it manages to not only refrain from sacrificing key elements of gameplay for the sake of making the hardware transition process easier but also makes improvements that are not only great but practically seem like common sense. Perhaps the handiest feature Atomic Planet has incorporated into this great compilation though is the new Navi Mode, which basically allows you to use the great menu from Mega Man 8 in all the other titles and also gives you handy hints throughout the game. 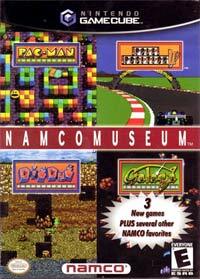 The games in this set are not emulated, but instead ported. However, the ports are not perfect. For example, some controversy exists in the fact that Mega Man 7 has its ending (sans closing credits) removed due to Atomic Planet having a hard time getting the Mode 7 effect to work properly. Mega Man 7 also had a few framerate issues when the screen automatically scrolls (usually when the player climbs a ladder to the top of the screen), which do not exist in the original SNES version — however, the Gamecube version is not as noticeable as the PS2 version. The game is also slightly blurry, due to the use ofanti-aliasing, but is very noticeable only on the weapon energy bars on the weapon sub-screen. The the quality in Mega Man 8 has decreased in some areas; there are noticeable slowdowns in boss battles, and the final four Robot Masters have their voice clips sped up outside of their introduction. The final complaint (to Megaman veterans) The original functions of the B and A buttons have been reversed in the GameCube release: B jumps while A fires, whereas it was the other way around in the original NES versions. If you haven’t played the game in a while, you probably won’t notice. Mega Man X Collection doesn’t have the polish or emulation quality of the the original compilation, but it is a respectible effort that fans of the Blue Bomber should enjoy. Overall, the games transition to the Gamecube is of high quality, but it is not without its issues. Some examples include the lack of rumble support in Megaman X5 and X6, the use of streaming soundtracks in X and X2. There are also some minor glitches here and there, but nothing deal-breaking. 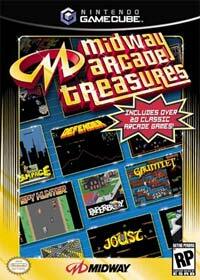 Midway Arcade Treasure gives retro fans a heaping spoonful of lots of great arcade classics. Unfortunately as a first effort, Midway didn’t seem to put in as much effort into creating an authentic experience as they could have considering the power of the Gamecube. If you can find it cheap enough, it isn’t a bad addition to a classic collection. Just be warned of it’s shortcomings (see below). 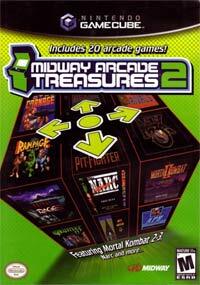 Many of the games in Arcade Treasures 2 are emulated versions of the arcade games and not actually ports. As a result, some of the games (Mortal Kombat II, Mortal Kombat 3, Pit-Fighter and NARC in particular) have some obvious sound and graphical glitches. The GameCube version of Wizard of Wor game (which is the oldest game in the collection) suffers from some issues as well. Every sound effect in that game plays at the wrong times (for example the original shooting sound effect has become the original “enemy defeated” sound effect, and vice versa), and the game has a very inconsistent framerate, slowing down at almost all times. Luckly, the control schemes for most of these games are simpler than those found in the original Arcade Treasures, so there are not as significant issues in that area. 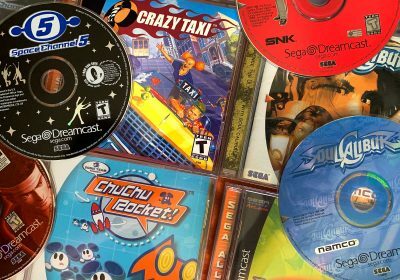 The Gamecube has the best versions of Arcade Treasures 3 as The PlayStation 2 and Xbox versions suffer from a few minor and major emulation glitches in some of the games. The GameCube seems to struggle just a little bit more with frame rates in S.T.U.N. Runner and Off Road Thunder, but it’s a difference that’s hardly detectable, and it’s really the only difference. Like I mentioned up top, if you want the best experience with Hydro Thunder and SF Rush 2049, you might want to go with the Dreamcast version if you have that console. However, this compilation does a respectible job and having them running off one disc on my Gamecube (with quicker loads and wireless controllers) is compelling. It’s all up to your priorities. The emulation runs wonderfully on the GameCube hardware, offering the same graphics and sound of the more than sixty games from the Intellivision library. Unfortunately, regardless if the gameplay can or cannot hold up to today’s standards, the GameCube’s controller absolutely cannot represent the complex Intellivision controller, and many games in this compilation are absolutely unplayable because the shortcuts for keypad presses on the controller are no substitute for the real thing. This Puzzle Collection was originally slated to be released in both the US and the European markets, but Nintendo apparently didn’t think it was worth the effort. I was greatly disappointed with this decision as this compilation includes three excellent puzzlers. 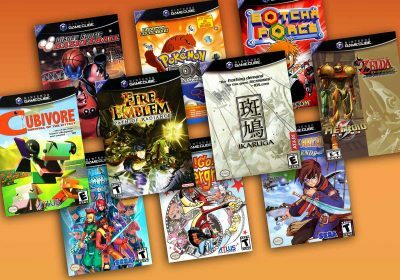 If you are a puzzle fan and have a way of playing Gamecube imports, you may want to look into this gem. Otherwise, the closest thing you can get is a Gameboy Player and the Dr. Mario/Puzzle League GBA cart. 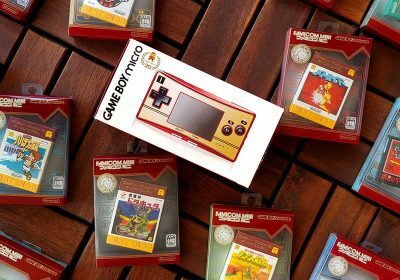 And no mention of the Zelda Collection? But this puzzle collection looks like I might have to mod a Gamecube to get. 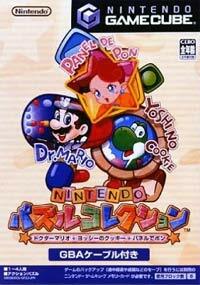 I am always looking for fun party games, sadly Ive yet to find a multiplayer Mr. Driller on a console. Oh yeah, the Zelda collection. It wasn’t retail, so it slipped my mind. This is the sort of post that makes Racketboy essential reading! I haven’t got a Gamecube, but one of the reasons I got a Wii was that I would be able to play Gamecube games on it. 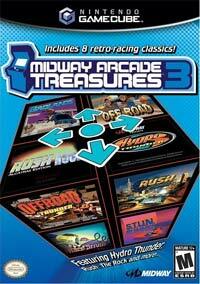 Now I see that there is a plethora of Retro GC re-releases, it makes me foam at the mouth to collect this lot! you might also want to mention that megaman x collection “fixes” the reversed controls of megaman anniversary collection. 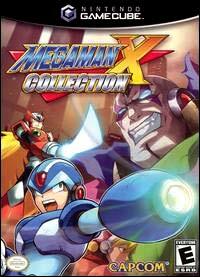 Nice list – I wasn’t aware that there was a Megaman X collection on the GC, so I’ll have to pick that up for my Wii. A shame X4 isn’t based on the Saturn version though, the animation seemed a lot better than the PlayStation games. Thankfully I’ve still got my copy of the game on the Saturn! 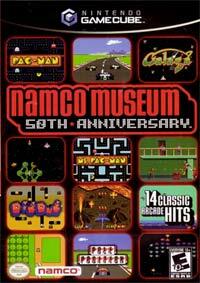 Another advantage the original GCN Namco Museum has over the 50th Anniversary collection is that you get the authentic arcade screen border artwork during gameplay (at least in the Pac-Man games, as I recall). 50th Anniversary omitted this for some reason. 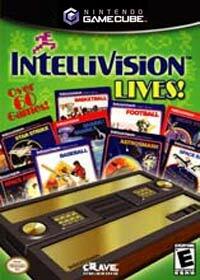 I had that Intellivision Lives! disc once, but couldn’t get my head around how the controls were set up at all. You had to input numbers by er…moving the C-stick about or something. I didn’t even get to play most of the games on it! The Navi modes in Mega Man Anniversary Collection weren’t added by Atomic Planet, they were in the Playstation ports of Rockman 1-6. It’s just too bad that the GC controller is so terrible for these type of games. I actually like the Gamecube controller. I wouldn’t want to use it for 2D fighters, but if the games doesn’t require many buttons, it’s not bad. It’s not as bad as the 360 controller.